NEVER LIVED IN! - Construction completed in 2017 - Owners purchased for family member who never took possession. Two-story Sherwin floor plan by David Weekley Homes with spacious living area and gorgeous hardwood 5" plank floors throughout the first level. Over-sized kitchen with 42" Sonoma Painted Linen full overlay kitchen cabinetry, high-end stainless steel appliances and granite counter tops. Both bedrooms are on the second floor with a spacious flex space and laundry closet. The owner's retreat can accommodate a king sized bed with room to spare. Owners bath has a beautiful walk-in shower with upgraded tile, double vanity with two sinks and granite counter-tops. Secondary Bathroom has alcove tub with shower. Two car attached garage, covered front porch and textured concrete rear patio. 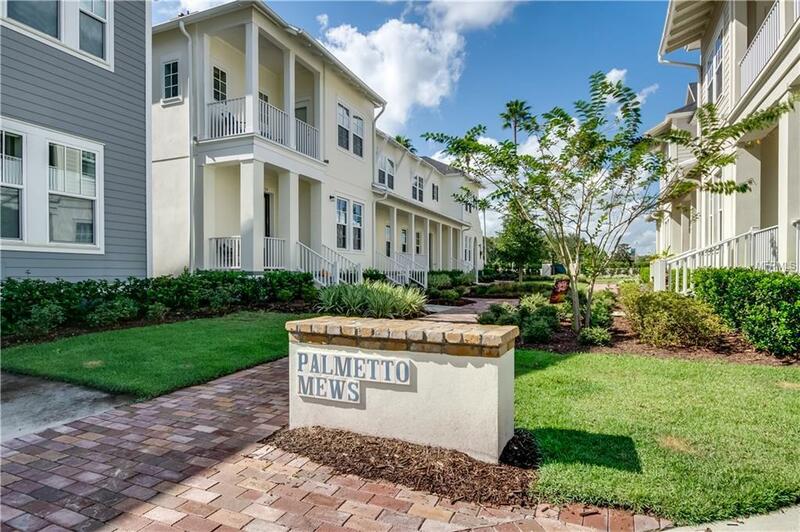 David Weekley Homes Transferable 10 years Homebuyers Protection Warranty. All appliances and furnishings included.